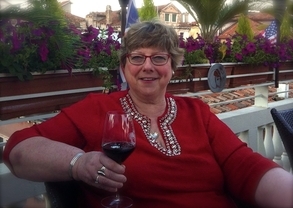 It is with profound sorrow that we announce the passing of the founder of Management Cornerstones, Pat Wyzbinski. She died in September 2016 at the age of 65 after a long illness. Her professional life was dedicated to the improvement of nonprofit management, with the top priority on smaller organizations in the sector. She was also devoted to her family, providing support to her parents and younger sister LyndaMarie among others, and was married to Scott Gelzer for over 36 years. She was a devoted mother, wife, sister, aunt, great aunt and sister-in-law. Pat’s work encompassed 25 years in Chicago, and nearly 20 in Milwaukee. While locally-focused her company served organizations throughout the United States. Management Cornerstones, a successor to her independent consulting practice she co-founded with her husband in 1984, has continually served the nonprofit sector since 1984. Pat, you were a mensch. A genuine human being who did what was right because it was right, toward family, toward strangers, at home and in public. An authentic maestro who was a master in your field and who generously shared your knowledge. You had an amazing ability to assess, simply state challenges, and then facilitate problem solving by a consultant team alongside the client, resulting in a comprehensive document that would serve as a roadmap. And, never miss throwing a birthday party for the staff. To learn about Pat’s role in Milwaukee and her legacy, please see this article from the Milwaukee Journal Sentinel (click here). To learn more about her impact on the nonprofit sector, through the eyes of a Milwaukee leader click here to read the blog posting by Rob Meiksins of the Nonprofit Center of Milwaukee. 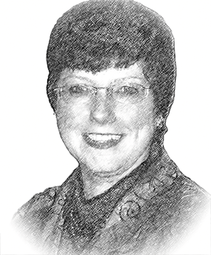 Click here for insight on her spirit as a person, a description of a her as a party host and the encouraging of friends, social activist and consultant Jan Wilberg posted these observations. Over 200 people gathered at Milwaukee’s RedLine Gallery on October 15th to celebrate her life. Gallery displays of her work, slide show of pictures from her life and a tribute to her work in technology were among the highlights. Art$upport Fund of Arts Wisconsin Inc: A new Fund created to support the creation, production, and presentation of arts programs of small and emerging arts organizations within the Greater Milwaukee area. The small arts were a passion of Pat’s work. Greater Milwaukee Foundation’s Brandon Gelzer Memorial Fund, a tribute to Pat’s late son Brandon, who took his own life in 2008. The Fund supports causes related to mental health and youth development. For more information on anything related to this post, contact Management Cornerstones, Inc.
A governance resource that features 38 authors from four countries, including Pat Wyzbinski from Management Cornerstones. All Directors on your Board will find at least one article particularly relevant to a goverance question that has puzzled them. 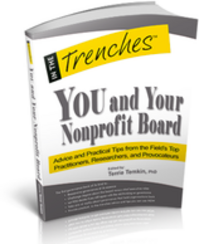 Purchase this helpful resource from the publisher -Charity Channel Press. A few autographed copies are available, at the offices of Management Cornerstones. For over 30 years, this small consulting firm has helped more than 4,000 nonprofit organizations address their management and governance challenges. In addition, here are a few of our most recent projects.